« Raiders A Landing Spot For Josh McCown? 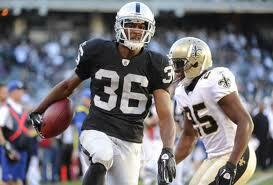 One of the top special teams players for the Raiders is now under their belt for three seasons. The team announced today they have inked cornerback and special teams standout Taiwan Jones. Reports say the three-year pact is at $4.355 million. This last season Jones led the Raiders in special teams tackles with 13.